When it comes to meaningful conversations via social media marketing, and deep discussions on all the various Web 2.0 channels, don’t just think about Twitter and Facebook. Even though these are most likely the most well-known social media channels available, in most cases the comments on these platforms doesn’t deliver that much results. If you are only interested in these two channels, you need to manage this over what you don’t and what you do want to become involved in. Did you know that there are many other social media channels where your comments and discussions can reach a meaningful level and often lead to deeper conversations? Here’s a couple of the channels that I use on a regular basis. LinkedIn: If you are looking for professional and in-depth discussions on particular business topics, LinkedIn is the route to go. Although this social media channel tends to be more B2B, it can be an excellent resource for solving and sharing solutions. Pinterest: The new kid on the blog. Pinterest is an image sharing website with a big difference. The images that gets shared on this network can be commented on, and the comments can spread to Facebook or Twitter by sharing your images on this platform. Instagram: This is big and expect lots of news about this in the coming weeks as it is now owned by Facebook. In truth, people don’t like to comment all the time, however there are millions of users that shares content on a daily basis. This makes Instagram the perfect channel that you can leave comments on. Google+: While this social network by Google is not as popular as Twitter and Facebook, you can still find very useful and meaningful conversations on this network where you can leave comments on. Foursquare: This network is different to the rest as it connects people on what they are busy doing and where they are. If you own a walk in business, why not add it on Foursquare and let you customers leave comments on their check in that they can share via their Twitter and Facebook profiles? Automated awareness. While some of the channels explained above will not spark an immediate discussion with your social media campaign, why not use these in your strategy as well? 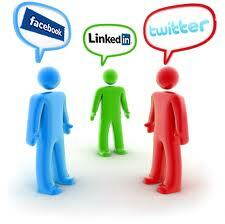 Facebook and Twitter are not the only channels where you can spark a conversation with social media.